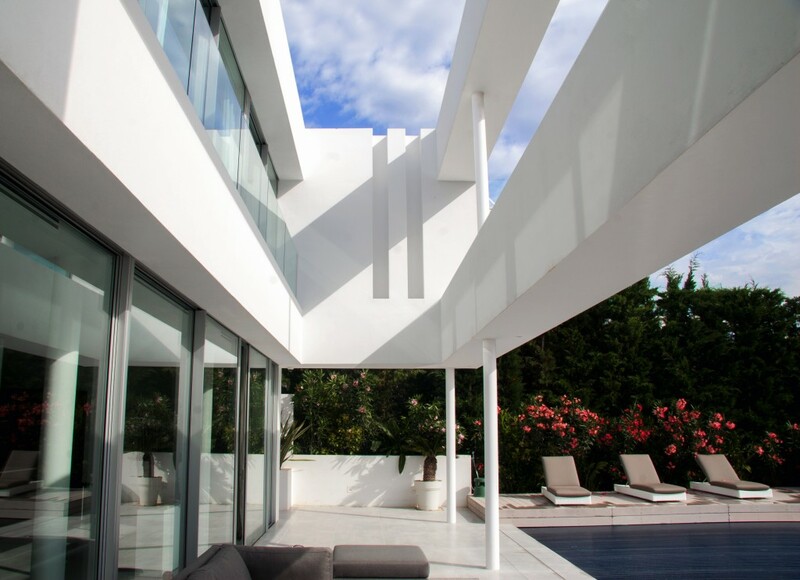 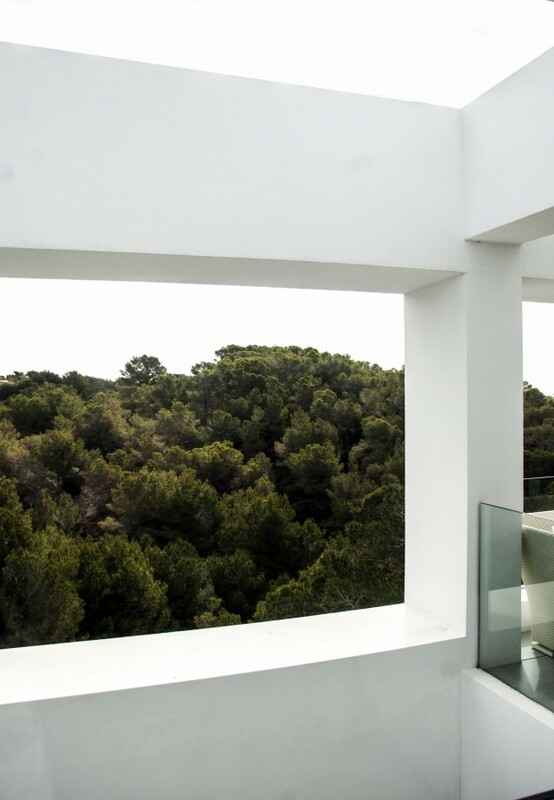 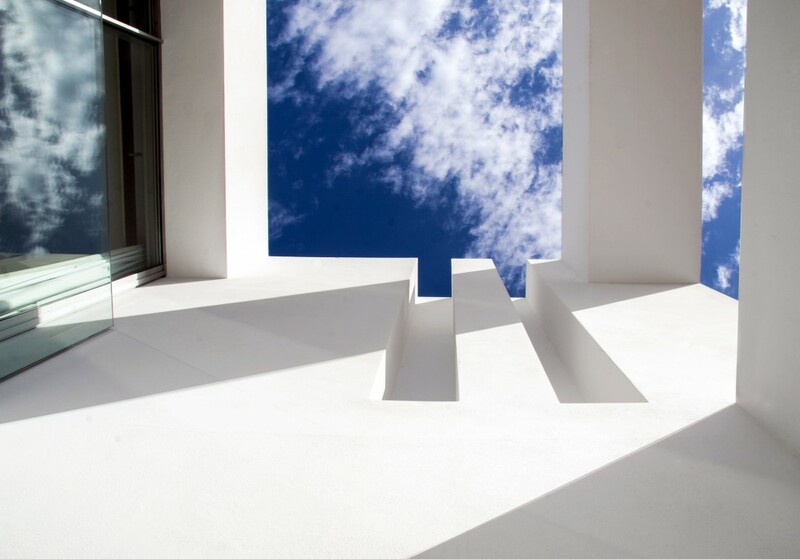 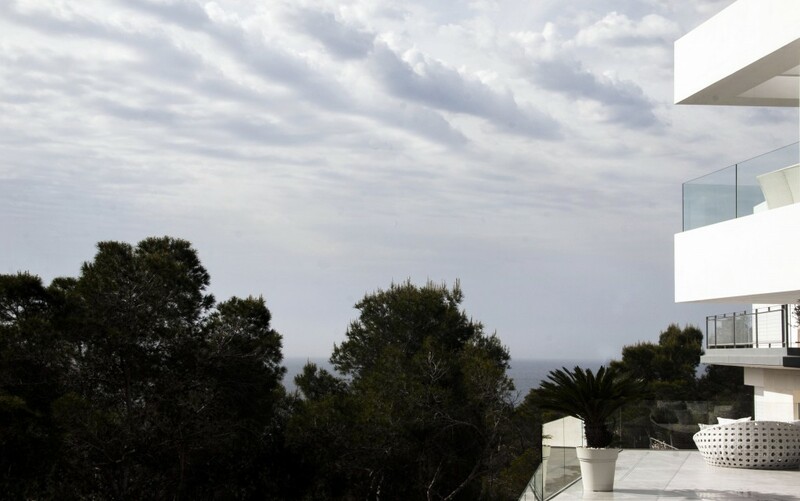 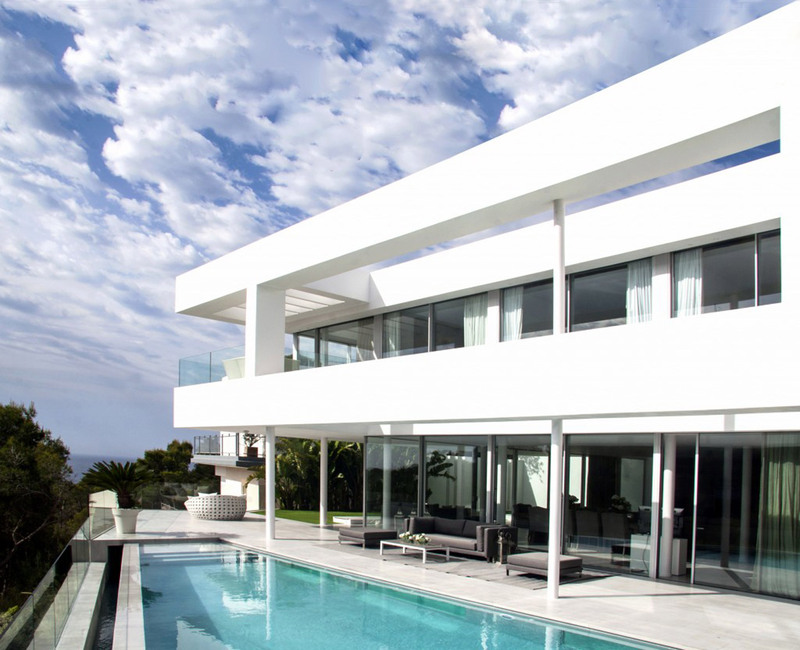 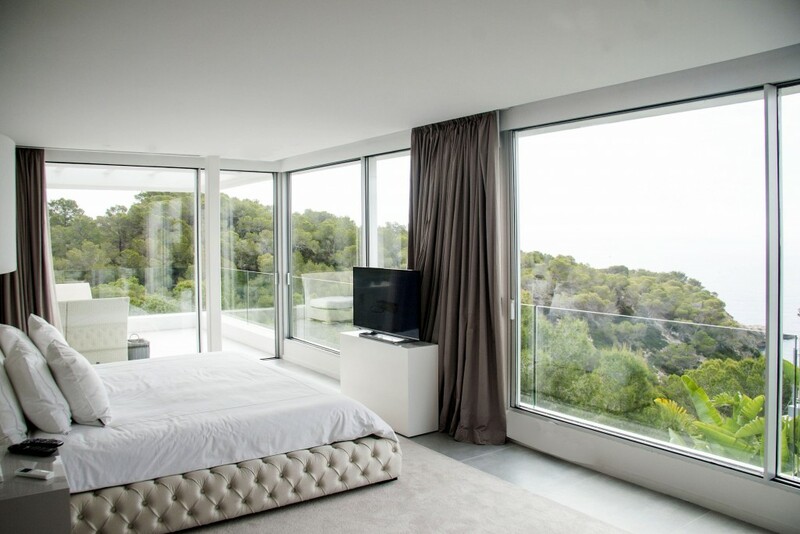 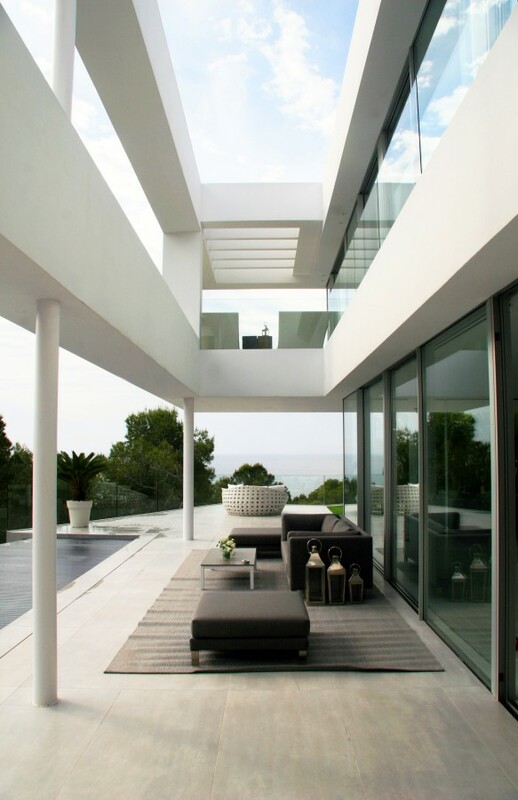 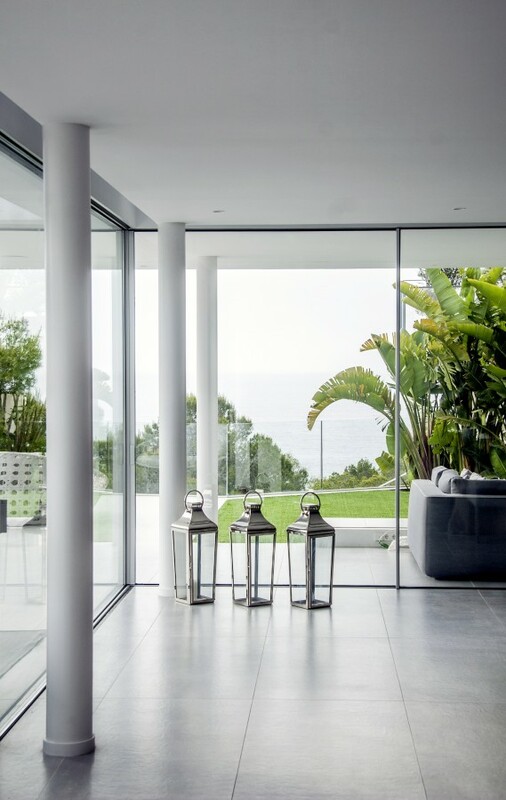 Placed on the East of Ibiza´s port, the house has a privileged views over the sea. 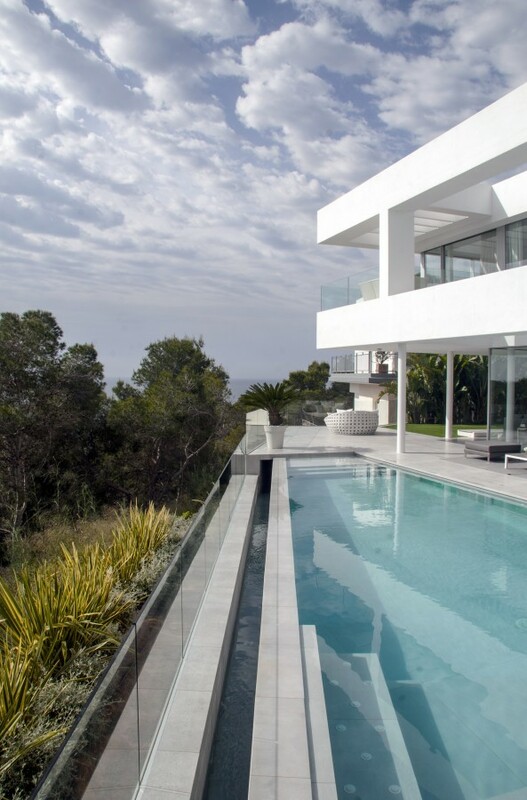 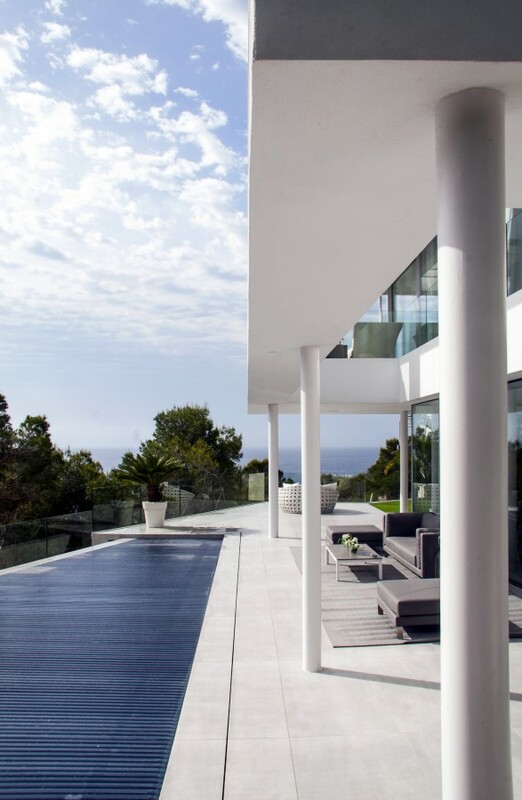 Built in two floors, a doble-high porch and a infinity swimming pool, the project shows a pitched shape in order to control the ground without loosing the opened views to the exterior. 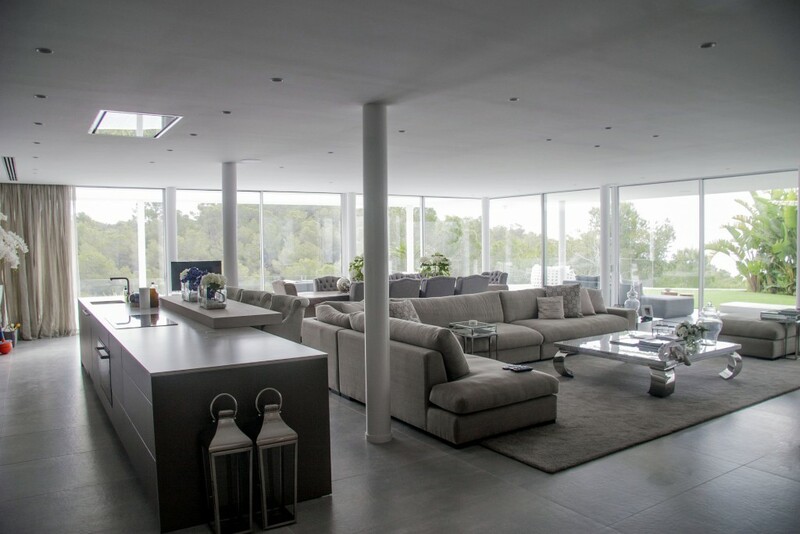 Inside, the diaphanous spaces become infinite because of to the surrounded windows.